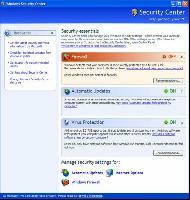 Internet Explorer also has more barriers in place to prevent the installation of spyware. It’s much harder for a program to hijack the browser’s home page and install modules that work inside the browser. Windows Update now has the ability to download and install patches in the background, without users even knowing it’s happening. While Windows Update is still not turned on by default, the first time a user reboots after installing SP2, a wizard takes over the screen, asking you to turn it on. If you don’t, you’ll be constantly harassed to do so. 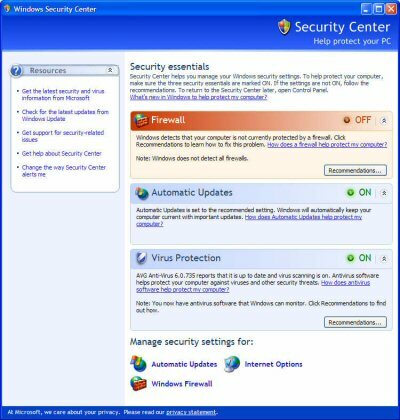 A new Security Center module for the Control Panel has been added, giving users quick access to firewall, antivirus and auto-update settings. Of course there are those that have found some issues with SP2 while still feeling the upgrade is worth it, so read the reviews below and judge for yourself. Check for updates on the software you have already installed as they may be incompatible with SP2. And as always, do your homework before performing any major upgrades to your computer. It will save stress, time and worry in the end!